To protest the recent imprisonment of Ai Weiwei, artists and supporters will gather in front of Chinese embassies around the world this weekend. The international event, called 1001 Chairs for Ai Weiwei, is expanding and Toronto has joined the growing international movement calling on the Chinese government to release Ai Weiwei. On Sunday, April 17 at 1:00pm, everyone is invited and encouraged to sit outside of the Chinese consulate at 240 St. George Street, Toronto. Participants as asked to bring a chair and invite others to make a peaceful statement for human rights, activism and free expression through art. The link to the Facebook group can be found here and information about the origin of this event is provided after the jump. See you on Sunday. A question posted on Facebook about what we, as an arts community, can do to support the safe release of Ai Weiwei sparked great ideas, including one by curator Steven Holmes to reenact Ai Weiwei’s project Fairytale: 1,001 Qing Dynasty Wooden Chairs—an installation which was comprised of 1,001 late Ming and Qing Dynasty wooden chairs at Documenta 12 in 2007 in Kassel, Germany—in front of Chinese embassies and consulates around the world. This Sunday, April 17, at 1 PM local time, supporters are invited to participate in 1001 Chairs for Ai Weiwei, by bringing a chair and gathering outside Chinese embassies and consulates to sit peacefully in support of the artist’s immediate release. Artist and activist Ai Weiwei is an internationally regarded figure who has fought for artistic freedom and for freedom of speech throughout his distinguished career, envisioning and shaping a more just and equitable society through his work. He has been missing since his arrest on April 3rd in Beijing. 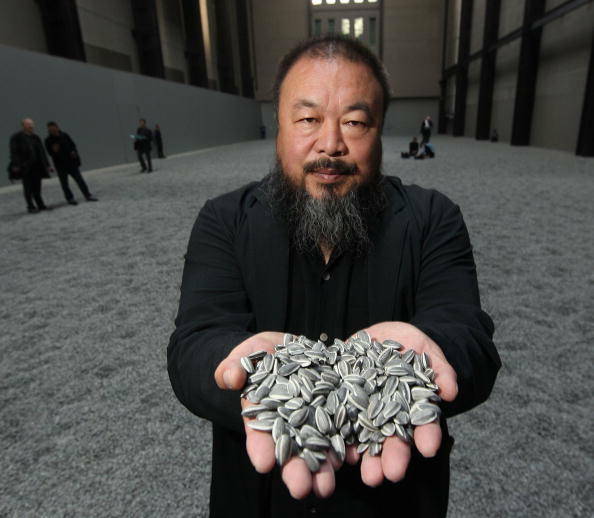 Referencing the spirit of his work, 1001 Chairs for Ai Weiwei calls for his immediate release, supporting the right of artists to speak and work freely in China and around the world. 11, av. George V, 75008 Paris.